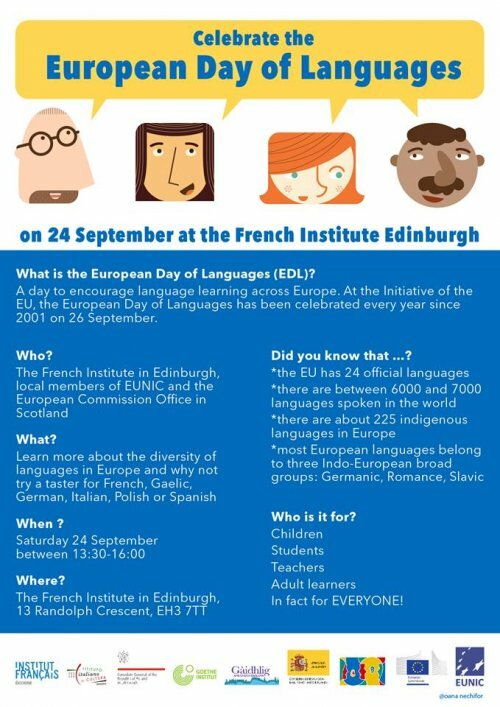 The European Commission in Edinburgh, in collaboration with the Iomairt Ghàidhlig Dhùn Èideann, the Institut français, the Goethe Institut, the Istituto Italiano di Cultura, the Consulate general of Poland and the Education Office of Spain, invite you to celebrate the diversity of european languages. Join us for a journey of discovery through some of the languages of Europe. Coffee and tea served from 1.30pm to 4pm.